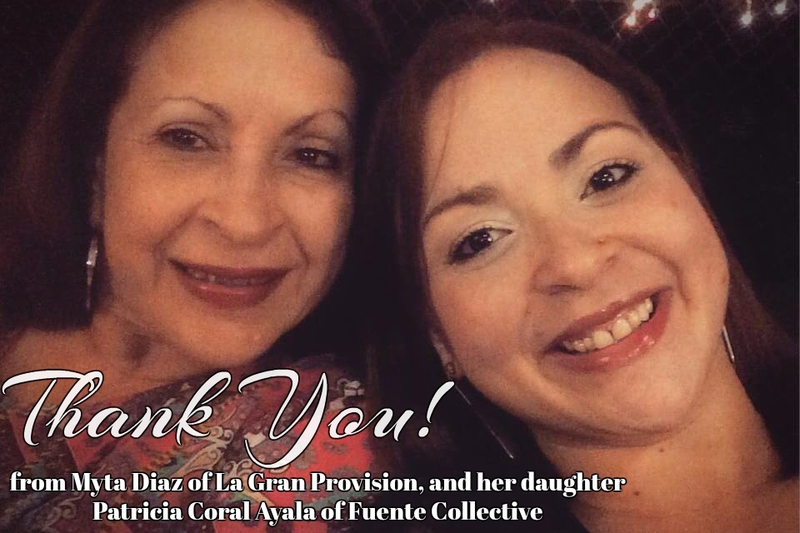 FuenteCo is raising funds for La Gran Provision, a Puerto Rican grassroots organization run by Herminia "Myta" Diaz, the mother of our co-founder Patricia Coral. 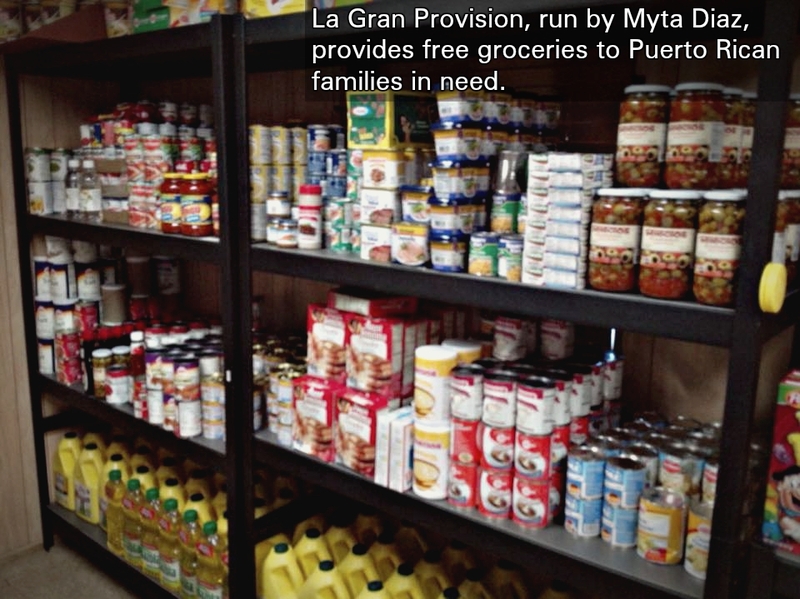 La Gran Provision provides free groceries and supplies directly to families in financially vulnerable neighborhoods around Dorado who are in desperate need after being hit hard by Hurricane Maria. 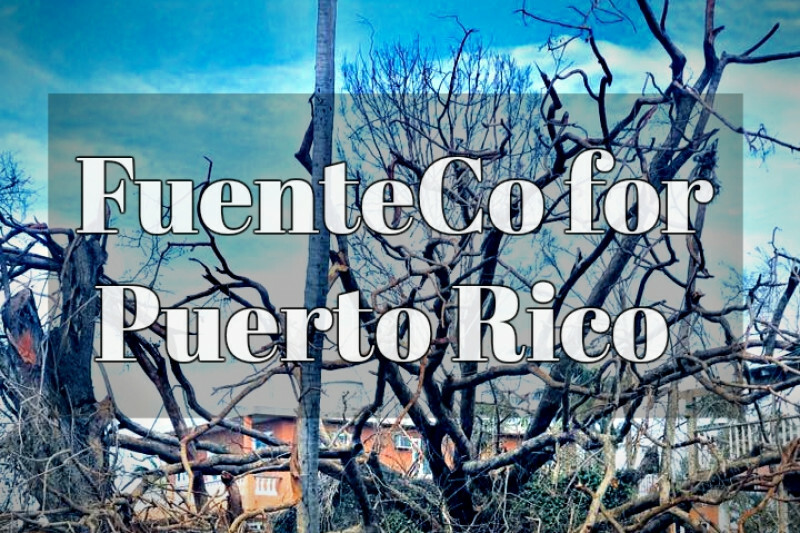 As an organization that fiercely values both local community bonds and global citizenship, we feel it's our duty to use our platform to help Puerto Rico during this time of crisis. We invite you to join us in this effort. 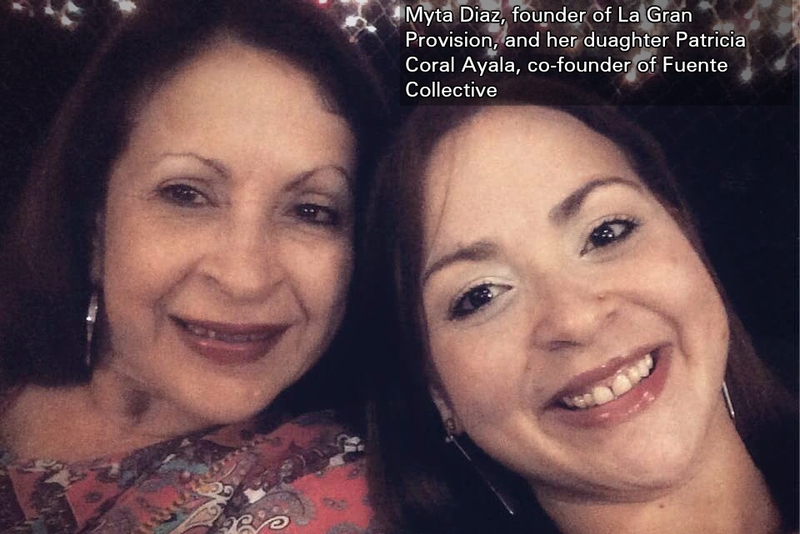 Myta Diaz started La Gran Provision in 2014 in response to Puerto Rico's financial crisis. She began collecting donations from friends, strangers, and local supermarkets and set up a free shop out of a donated trailer in a neighborhood of Dorado. Over the past two years, Myta and her team of volunteers have provided over 1,500 grocery deliveries to families in need, as well as to local orphanages, hospitals, and other nonprofit organizations. vision stocked with necessities, to expand her reach, trying to feed more families, and answering requests for help from outside Dorado. As most of Puerto Rico still has no cell phone signal, communication on the island is extremely limited. 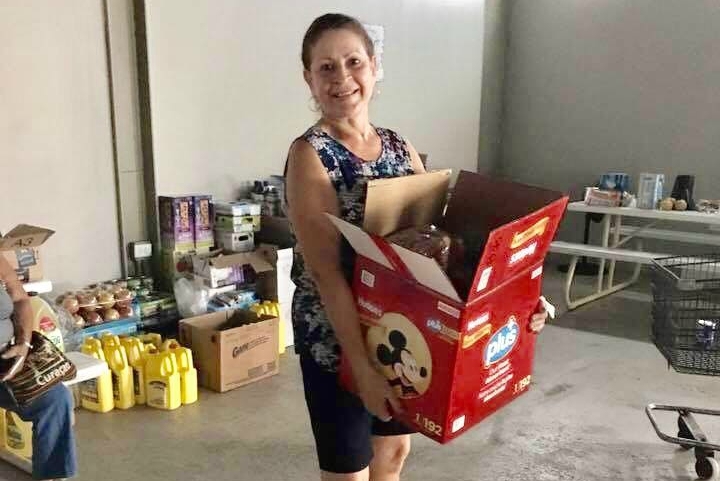 Myta has been coordinating her relief efforts with her daughter Patricia Coral, who has been helping remotely to organize deliveries to areas outside of Dorado and sending donated goods from Houston to Puerto Rico. The entire amount of this campaign, aside from GoFundMe fees, will go directly to La Gran Provison. There are no middlemen who will take a cut. Patricia and the FuenteCo team are handling all necessary administrative work on a 100% volunteer basis. 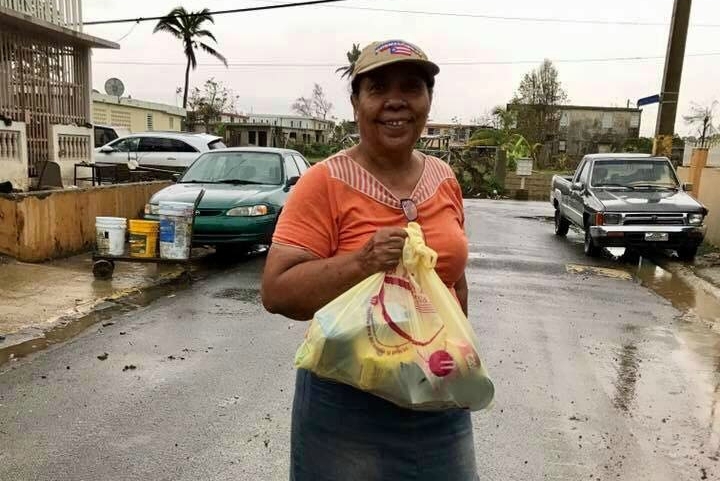 All donated money will be received by Patricia Coral and transferred to Herminia Diaz (Myta) directly, who will use it to keep La Gran Provision stocked with groceries and toiletries, and/or to purchase gift cards to operating supermarkets and department stores to distribute to families in need. Myta has access to a working bank branch and a running vehicle, which many others don't. She and her team of volunteers will purchase items from stores and (when possible) wholesalers, and use them to stock the La Gran Provision trailer. People in need who visit the store will be able to take home a week's worth of groceries for their families. We will do our best to keep campaign donors updated on the exact use of all funds. Purchased items will include food staples such as rice, beans, and canned meat, as well as important toiletries like toothpaste, toilet paper, and feminine hygiene products. In certain instances, La Gran Provision might purchase $25 gift cards to operating supermarkets and department stores and distribute them to families in need who can't make their way to the store to pick up their bag of groceries. This campaign is run by Fuente Collective, an organization for writers and artists that champions experimentation, collaboration, and hybridity. In the aftermath of Hurricane Harvey, we have made the decision to put all paid programming on hold and to focus on free programming and hurricane relief efforts for the time being. To learn more about FuenteCo, visit fuenteco.com . One of FuenteCo's co-founders is Patricia Coral Ayala. Patricia is Myta's daughter and has been helping to coordinate Puerto Rico relief efforts from her home in Houston. As cell phone service in Puerto Rico is very unreliable now, Patricia has been acting as an information conduit between friends and family members on the island. She has an extensive background of working and volunteering for nonprofit organizations, and currently works as a consultant for educational projects, and as academic program manager for a nonprofit institution. Through FuenteCo, she has also been organizing free creative programming for writers and artists as part of FuenteCo's Houston relief efforts post-Harvey. To learn more about Patricia, visit her profile at FuenteCo , and patriciacoral.com. Thanks to your amazing support, we have as of now raised $5750 for La Gran Provision! 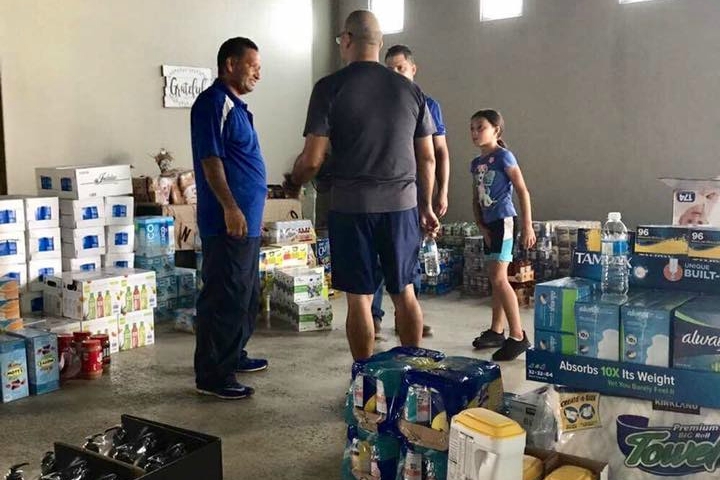 We've made the first money transfer to Myta Diaz and her team this past Friday, and she was able to purchase and give away desperately needed supplies. With your help, Puerto Rican families in need after Hurricane Maria now have access to free groceries and toiletries! Although we've reached our goal, we're keeping the fundraiser going. The need for relief is far from over, and we're so grateful that your donations are still rolling in! Each $50 donation provides a week's worth of groceries for another family, so PLEASE KEEP HELPING AND SHARING! We're so happy we're able to keep this grassroots relief effort going at the time where it's needed the most. Thank you, again, for all your help! You all are incredible! La Gran Provision, finally restocking! Thank you for helping Puerto Rico! THANK YOU! With your incredible help, we've managed to raise $5,000 in just three days, enough to provide two weeks' worth of groceries for 50 Puerto Rican families hit hard by Hurricane Maria. Your support, your donations, your shares mean the world. You're giving sustenance and hope to families when they most need it. While we've reached our campaign goal, Myta Diaz and La Gran Provision have the capacity to help many more people in need. We'll keep the campaign running through the weekend, so please keep giving and sharing! Each $50 donation will put food on another family's table for a week. Thank you, from everyone at La Gran Provision and Fuente Collective, for showing us the good in people. Thank you for caring. You all are amazing. Thank you for an absolutely unbelievable start to this campaign. With your help, we've already surpassed our first goal of $3000 in just over a day! We're blown away by the speed at which donations are rolling in, so we've upped our goal to $5000. This amount will equal two weeks' worth of groceries for 50 Puerto Rican families in need. La Gran Provision has the capacity and infrastructure to handle this and more. The situation in Puerto Rico is dire, and the need for relief will continue for months to come. So let's not stop here—please keep giving and sharing! Every $50 donation will provide a week's worth of groceries and toiletries for a family in desperate need. Myta Diaz and her team are amazed at your generosity and send their sincerest gratitude. If we managed to collect $3000 in under two days, what can we do in a week? Help us and Myta find out!